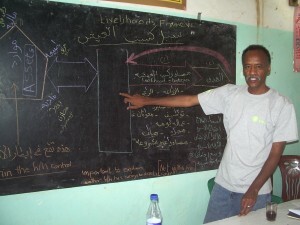 Recognizing the dynamic nature of relief work, the high turnover of staff, and the need for reflection and learning, the Feinstein International Center has established the Practitioner Expert Program, whereby returning field workers can be in residence at the Center for four to twelve weeks. This program actively seeks to assist experts in reflecting, learning, writing, and discussing their experiences. The program also helps to build agency institutional memory through papers written by the practitioners. The program is open to practitioners and experts who work for an organization, agency, or institution and who fully expect to return to their agency upon completion of this program. Though primarily aimed at practitioner experts returning from complex emergencies, the program is open to all practitioner experts whose agencies determine they will benefit from the program. The program is not open to practitioners and experts between jobs, with no institutional affiliation. All participants need first be chosen or approved by their agencies; final decisions on admissions will be made by the Center. The participants are given a workstation with a computer and full access to the internet and Tufts University library services. All computer services are available at the Feinstein International Center. The program assigns the participant a faculty adviser for the full period of time the expert is in the program. This adviser oversees all aspects of the individual’s program and provides guidance and advice. The participant and his/her adviser select articles and books of greatest interest and relevance to the expert. A realistic schedule for reading and discussion with the adviser will be determined. The participant is expected to submit a one page summary detailing how they want to use their time, what issues you want to research or write about and the number of weeks/months you wish to stay. The sponsoring agency must also approve your participation and the topic you wish to write about. Most often the paper draws on lessons learned from recent field experience. This is not necessarily a formal academic paper. Final decisions of acceptance will be made by the Director. Once accepted, before arrival, we would request a copy of your CV and a letter of recommendation from the sponsoring agency. All rights to the paper will be the property of the author and held jointly with the Center. The sponsoring agency may also wish to circulate the paper within its agency or to a broader audience. The participant can audit selected courses offered in the Friedman School of Nutrition Science and Policy and at the Fletcher School of Law and Diplomacy. There is no required output from this audit. The participant is free to attend any open lecture or seminar held at the Friedman School of Nutrition Science and Policy, the Fletcher School, and Tufts University. These cover a wide range of topics and they are offered almost on a daily basis. Mentor one or two graduate students by discussing in depth the nature of the expert’s work, identifying areas of study needed by practitioners, etc. The program can accommodate several practitioner experts at one time. In the event that more than one expert is in the program at one time, the adviser will facilitate group discussions among experts on topics of common interest, providing the opportunity for participants to learn from each other. The University cannot provide housing for participants. Limited rental housing is available to participants near the Tufts campus through the Center. All necessary arrangements for housing must be made prior to the participant’s arrival. The costs of the program include tuition and on-campus services and the monthly fee is $2500. In many cases, the participating institutions cover these costs and include per diems for the participants. Please contact the program for tuition costs.